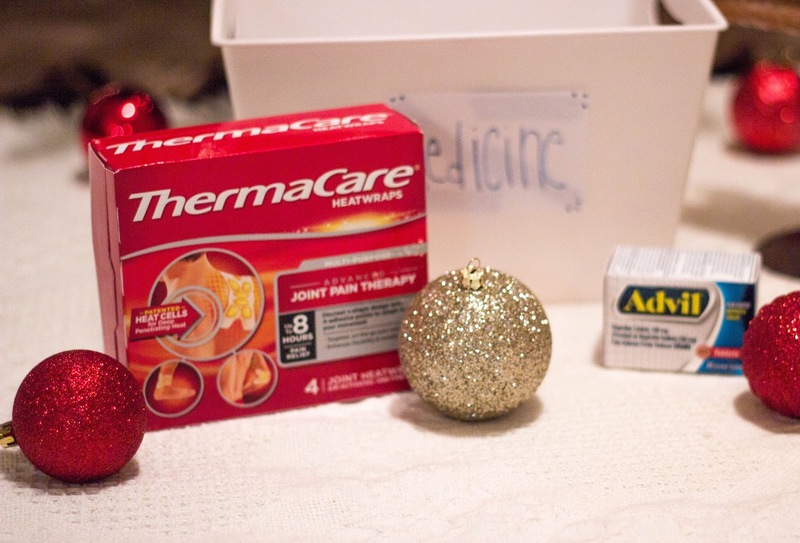 What to Keep in Your Medicine Cabinet This Holiday Season | For the Joy of Life. 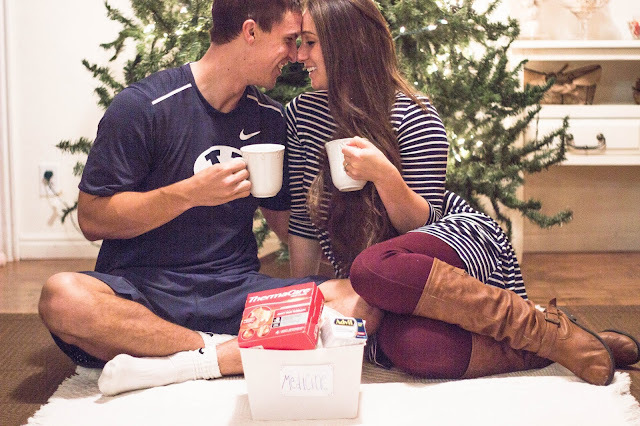 As much as I absolutely love the holidays, I'll be the first to admit that they are absolutely crazy. I get so excited to put the tree up, go sledding, receive holiday cards, eat delicious food, and be surrounded by so much family each year. Right as Halloween is over, that holiday spirit kicks in over at our house and it can't be stopped. We already have our tree up, ha! However, it isn't decorated yet so all the scrooges out there can't hate too hard ;) Anyhow, amidst all the fun and holiday bliss, comes the dreaded colds and other sicknesses. It's bound to happen that someone will end up sick in our home and need a little pick me up. I don't know about you, but I think the holidays can quickly lose their magic if you are down for the count with a winter illness. Last year, we went home during the spring and stayed for Mother's day. It was a blast being with family and showing off our then, little baby. However, travel and all new germs meant awaited sickness. Before I knew it, I was out cold on the couch with a fever and a sore throat. It was so hard to be sick and wake up to feed my baby. Before I knew it, she had a runny nose and lost her little baby voice. It was so sad that she could hardly get any noise out when she was crying. While being there was still fun, it was pretty miserable for both of us and a fun holiday with family was quickly turned into a not so fun time for me and my sick baby. I've decided I now always want to make sure we're stocked and ready for any sickness. Our medicine cabinet was seriously lagging back then and it made dealing with the aches and pains of a cold even harder. I now have a bin in my medicine cabinet with essentials pertaining to every season that I can stock up on as needed. To "make" this bin, you literally just need to buy a cheap one from your local Walgreens. I got a little white one that is the perfect size for everything I need to kick the holiday cold this year. You can then take a sharpie and write directly on the bin, or grab a piece of paper and tape it to the bin. 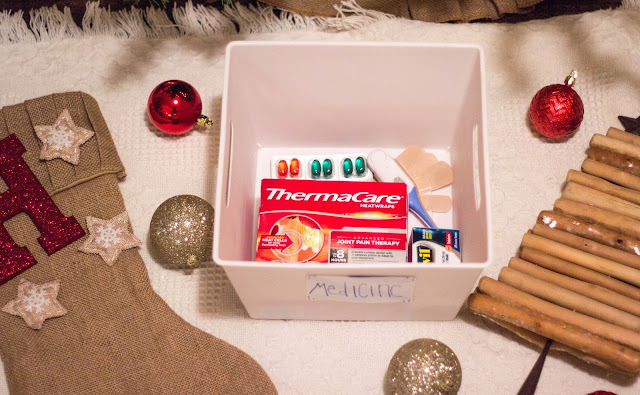 I just wrote "medicine" on it but you can write something fun like "This season's essentials" or something else that will help your family find just what they need. Next just stuff the bin full of everything you need and continue to refill as needed! You will be so thankful you did this next time you wake up and think, "oh no, here it comes!" So what do I always make sure I'm stocked up on? For starters, we absolutely always have Advil® Tablets on tap ;) I have found through personal experience that nothing's stronger on tough pain. 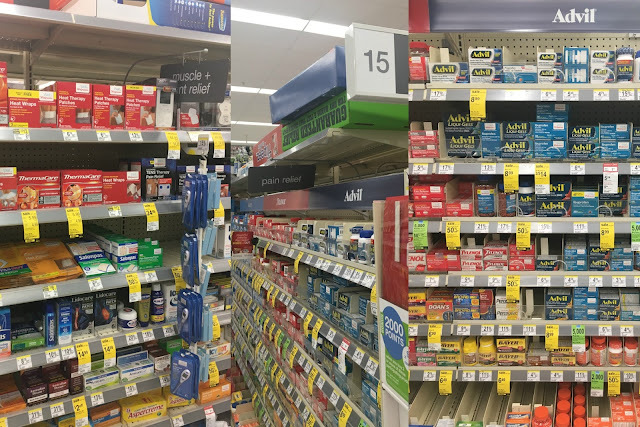 You'll be able to find Advil® Tablets at your local Walgreens among OTC pain relievers. * Use as directed. Advil® is one thing that never leaves our medicine cabinet no matter what time of year it is, but especially during the holidays. Another thing I have found I love to keep in our cabinet is ThermaCare ® because it helps soothe the body aches that come with a seasonal cold or flu. Unlike creams and rubs that merely mask the pain, ThermaCare® has patented heat cells that penetrate deep to increase circulation and accelerate healing. 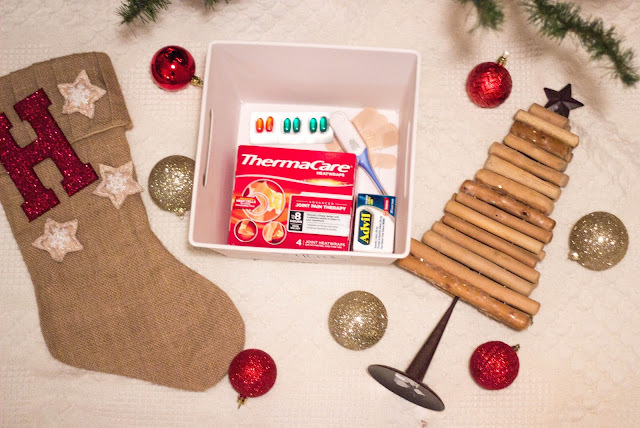 ThermaCare® Heatwraps (once activated) only take 20-30 minutes to heat up to a comforting temperature of 104 degrees F. Make sure you don't use these overnight though! *Use as directed. Ready or not, it’s time to stock up on Pfizer products that will help out this holiday season like Centrum and Emergen-C. Ensure you are prepared when sickness strikes with products like Advil® and Robitussin. Make sure to shop at Walgreens and take advantage of the $8 in coupon savings! 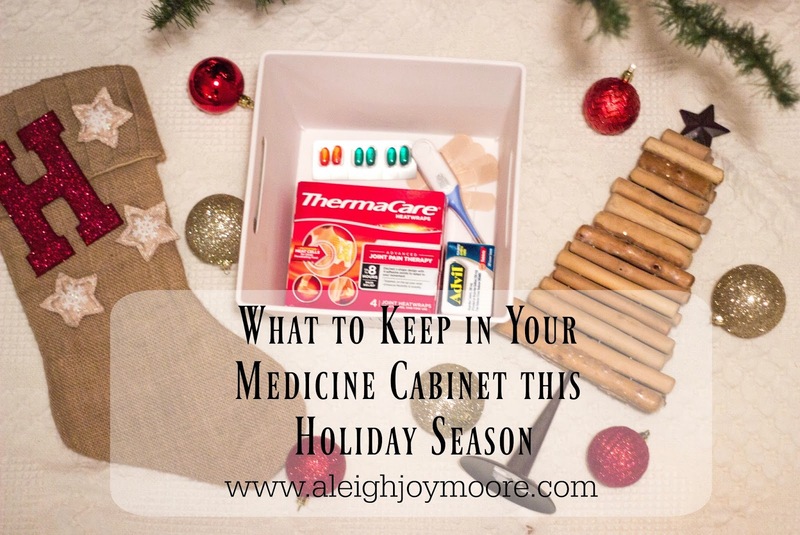 So, what will you be putting in your holiday medicine bin?? *This statement has not been evaluated by the Food and Drug Administration. This product is not intended to diagnose, treat, cure, or prevent any disease. Use as Directed.